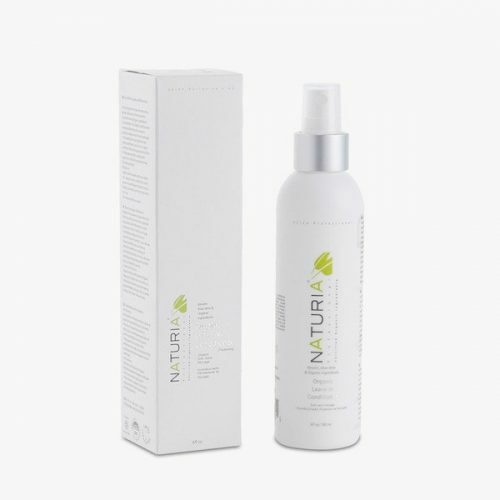 Enriched with organic ingredients, the thermo-active Organic Leave in Conditioner from Naturia Professional works quickly to repair hair while adding moisture and shine to damaged hair. the leave in conditioner instantly protects against heat styling tools, resealing hair that has undergone the Keratin or Hair Botox treatment. Repairing dry, damaged hair, it enhances hair color, protecting it from the elements, and preventing split ends.